TUPELO, MISSISSIPPI (WCBI) – Jet service is coming to the Tupelo Regional Airport this spring. That announcement was made by Contour Airlines, which has provided commercial air service to the All America City for nearly three years. Beginning April 1st, Contour Airline passengers will upgrade from 15 seat turboprops, to a 30 seat jet. “Even I am surprised we have gotten here as fast as we have,” said Contour CEO Matt Chaifetz. When Contour Airlines made its pitch to provide air service to Tupelo, the public was skeptical. Two previous airlines were plagued with late or cancelled flights. 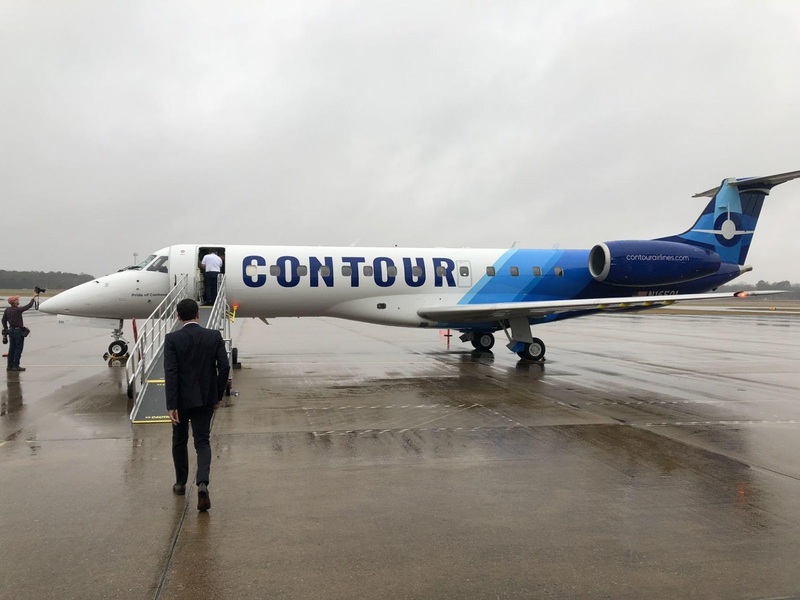 But since April of 2016 when Contour began flying out of the Tupelo Regional Airport, the airline has become known for its low fares and on time performance. And for the first time in nine years, the airport has recorded 10,000 boardings. The 30 seat ERJ model, means Contour will decrease its weekly flights from 30 to 18. Contour is subsidized by the Alternate Essential Air Service Program. That Department of Transportation program pays Contour $4.2 million a year to serve the Tupelo market. “Our service in Tupelo has been so successful that we are willing to operate the 18 frequencies a week, with the ERJ, with the same level of annual subsidy as what we were receiving with the 30 flights a week on the Jetstream. While there will be less flights per week, the actual capacity on a weekly basis is going up,” Chaifetz said. 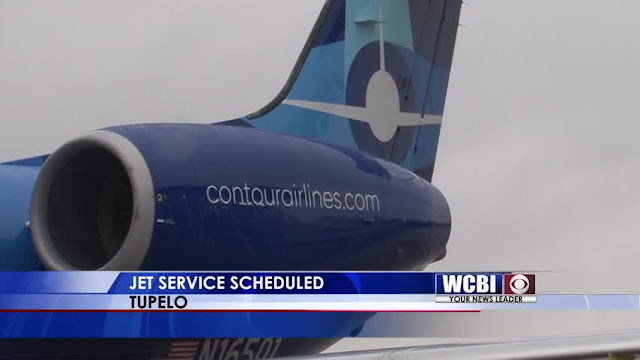 Contour Airlines success over the past few years means the Tupelo Regional Airport will be able to make some upgrades of its own. “Reaching 10,000 , the airport becomes a primary airport, receives a full share of entitlement funds, that money is used to help maintain and keep airfield, safety of airfields, upkeep of it,” said Tupelo Regional Airport Director Cliff Nash. Tupelo was Contour’s first city for commercial service. The airline now serves sixteen communities nationwide. Contour’s CEO says the airline will not only continue to offer low fares, but will also , from time to time, offer $19 super saver seats on some flights.